In a new installment of the EA Café-series on Thursday June 7th 2018 in the Parker Hotel Brussel Airport we present to you an architectural view on Blockchain and the case for Agile Architecting. Our speakers are Tristan Catteeuw, Bjorn Monnens and Davy Van Roy on Blockchain and Eltjo Poort, Distinguished Solution Architect at CGI, on agile architecting. As always there will be plenty of time for discussion and networking during and after the two presentations. 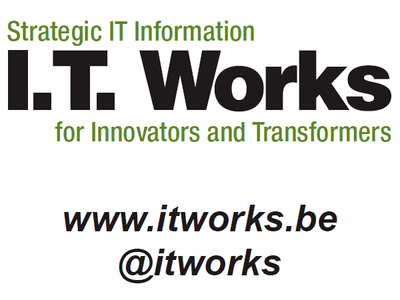 This 33rd Architect Café is kindly sponsored by IT Works Belgium, leading organizer of seminars and workshops on technical and business IT topics.